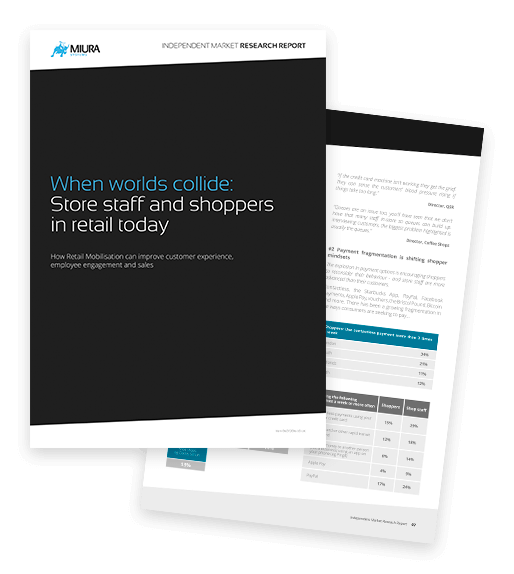 Retail challenges are bigger than ever, with customers more demanding and unsatisfied with staff availability, unclear pricing, stock availability, and long queues. The result? The average store loses over £105k annually from not being able to help their customers. The good news is retail mobilization can increase engagement, raise sales and lower costs – mPOS is popular with staff too. And the Miura M010, for fixed point-of-sale or mobile payments, is preferred to traditional devices. It really is time to go mobile.